The Glens Golf Group has one of the most dramatic courses to be found in the Grand Strand, located on the east side of Hwy 17 near Calabash. 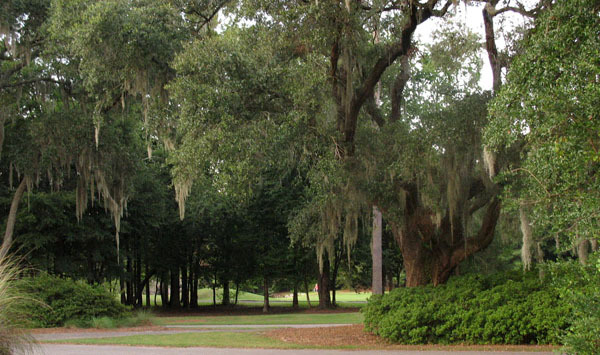 The Glen Dornoch course meanders along a long road heading towards the Intracoastal Waterway, with live oak trees on both sides creating a tunnel of leaves and Spanish Moss right out of the movies. You will think you are driving up to Tara, the plantation in "Gone with the Wind". This road and the course are something to behold. A country club rests on the waterway at the end, ready for finishing with a cold beverage and a cool view of boats sailing by. Just across Hwy 17, Heather Glen is Glen Dornoch's sister, offering a putting green, driving range, and practice facility, as well as a large and beautiful swimming pool and a pub and grill right on the premises. The draping moss and very low-country ambience is found in Heather Glen as well. Mingled into all this golfing glory is the community of Village at the Glens condos and townhomes. 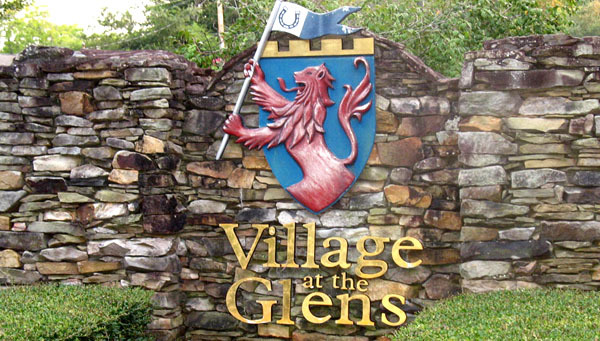 The condos at Village at the Glens come in 2 bedroom, 2 bath units, or 3 bedroom 2 bath extra large condominiums, all with screened porches natural surroundings. Near the pool and overlooking the greens are the new luxury split-level townhomes, offering private patios and screened porches, along with all the upgrades you could ask for. Several of the townhome buildings are under construction, and it is possible to get a brand new 2 or 3 bedroom home to choose your colors, cabinets, countertops, and flooring. These golf condos and town homes are not just perfect as a primary residence, but they are managed by an onsite rental company owned by the Glens Golf Group. 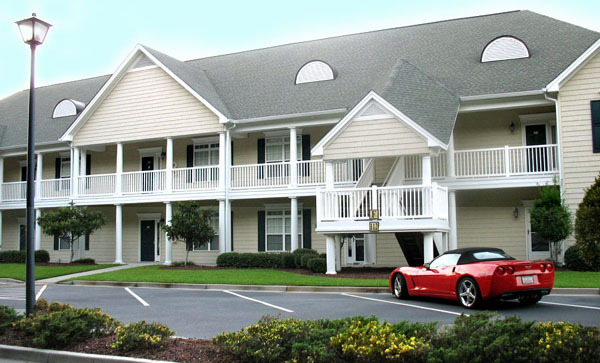 This makes for a very popular golfing vacation resort, and income producing investment for those who choose to do so. Prices are very affordable for both, from just under $100,000 to around $160,000 for the largest townhouses. Owners and guests enjoy special privileges at four Glens courses, Heather Glen, Glen Dornoch, Shaftesbury Glen, and Possum Trot in North Myrtle Beach. 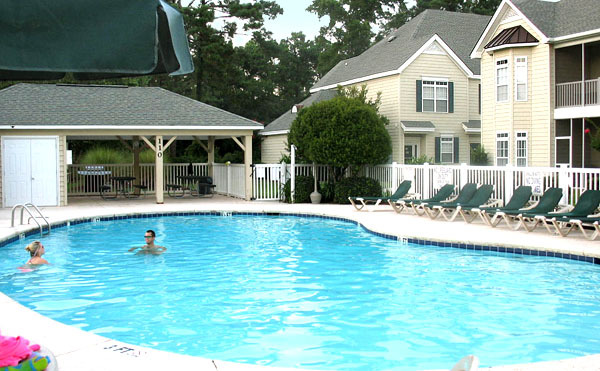 If you are looking for the perfect golf getaway condo, or want to live amidst the peaceful greens of a beautiful golf course, you owe it to yourself to see these unique and beautiful maintenance-free homes in Little River. 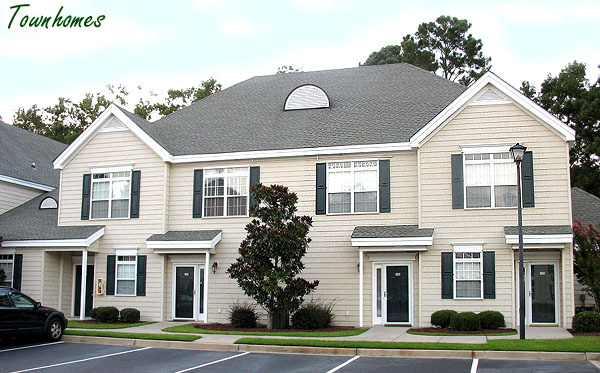 If you'd like to see these golf course condos and townhomes, give us a call! Listing courtesy of Beacon on Duty Realty, LLC , Marge Kyriakos. Listing courtesy of Kathy Dobr Realty , Kathy Dobr.